The Master Grande Tradition line by Jaeger-LeCoultre is inspired to the watchmaking tradition of the late 19th century, an age characterised by the firm belief that watchmakers could display anything that was mechanically measurable. Watches became the representation of the balance between sophisticated technology and pure beauty. 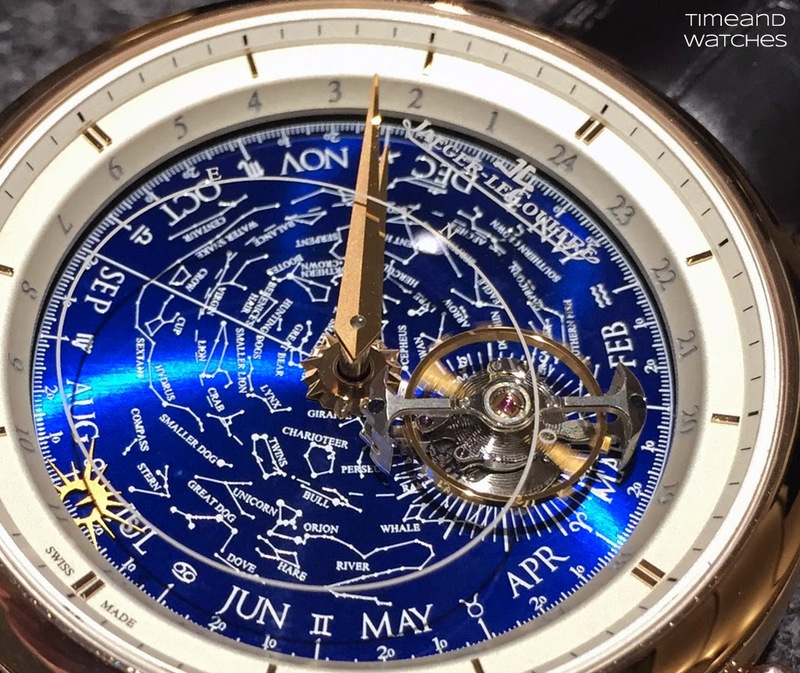 Sharing this vision, the 2015 version of the Jaeger-LeCoultre Master Grande Tradition Grande Complication (ref. 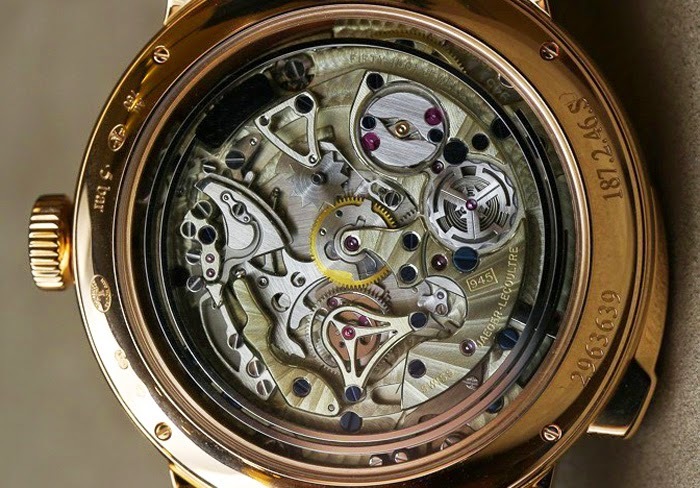 Q502 25 80), now in pink gold and with a new dial, brings the complexity of the universe to the wrist. The sidereal orbital tourbillon, whose carriage is made of ultra-light titanium, is here the key element used to show the passing of time with its counter-clockwise revolution in 23 hours, 56 minutes and 4 seconds. 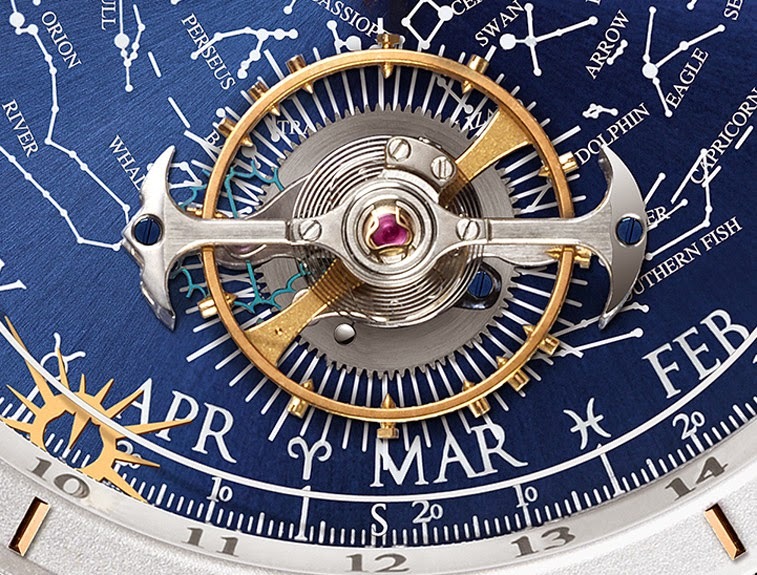 To highlight the astronomical aspect of time measurement, the tourbillon does not indicate the passing of civil time, but instead that of sidereal time – based not on the sun but on other more remote, fixed stars. Sidereal time is the unit used by astronomers to follow the trajectory of heavenly bodies. 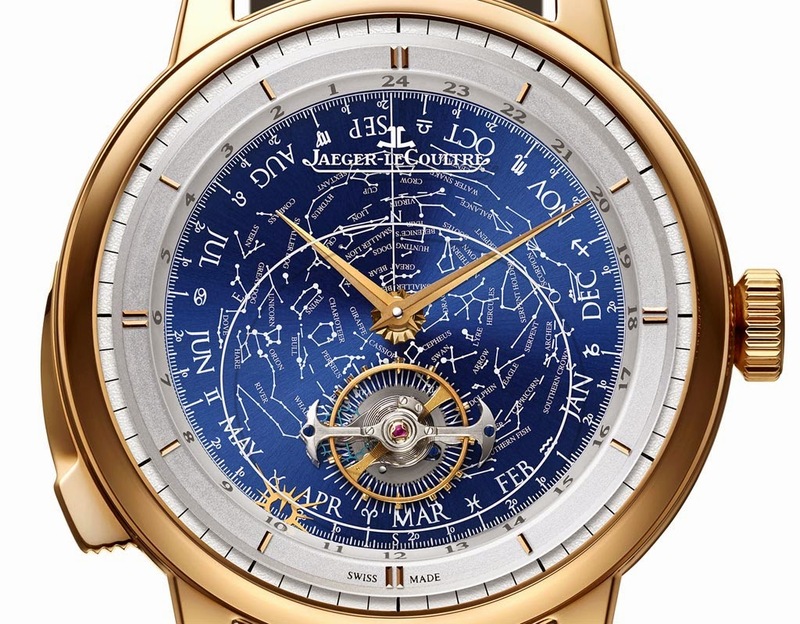 The dial of the Master Grande Tradition Grande Complication reproduces the sky chart of the Northern hemisphere, displaying its pattern of constellations as well as the belt of 12 constellations composing the Zodiac and representing the four fundamental elements: air, earth, fire and water. Spinning around the edge of this chart, a tiny sun performs a full turn of the dial in 24 hours allowing the wearer to immediately know whether it is day or night. This sun also points to the zodiac signs, months and days appearing on a circular scale on the rim. The pink gold of the 45 mm case - satin-brushed in the middle with polished lugs and a concave bezel -is ideal in combination with the blue of the dial. The total thickness is 15.8 mm. The Master Grande Tradition Grande Complication is also equipped with a mechanism sounding the hours, the quarters and the minutes by simply activating the slide on the left case band. gong that resounds with an exceptionally rich tone thanks to a square section which offers a larger contact surface for the hammer compared to the usual round shape. Through the transparent case-back it is possible to admire the dance of the trebuchet hammers hitting the gongs. 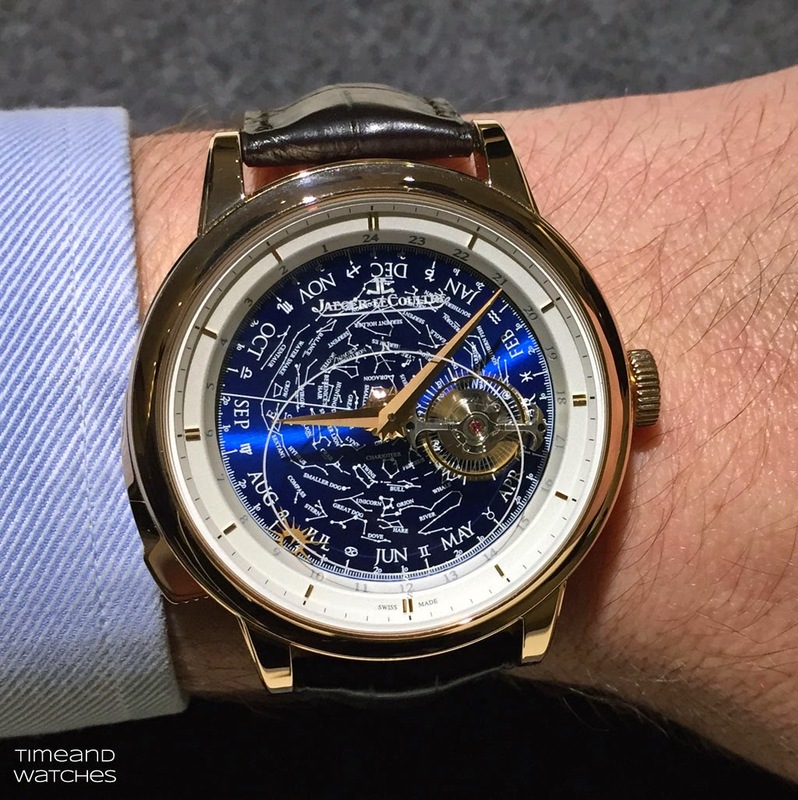 SIHH 2015: Jaeger-LeCoultre - Master Grande Tradition Grande Complication. 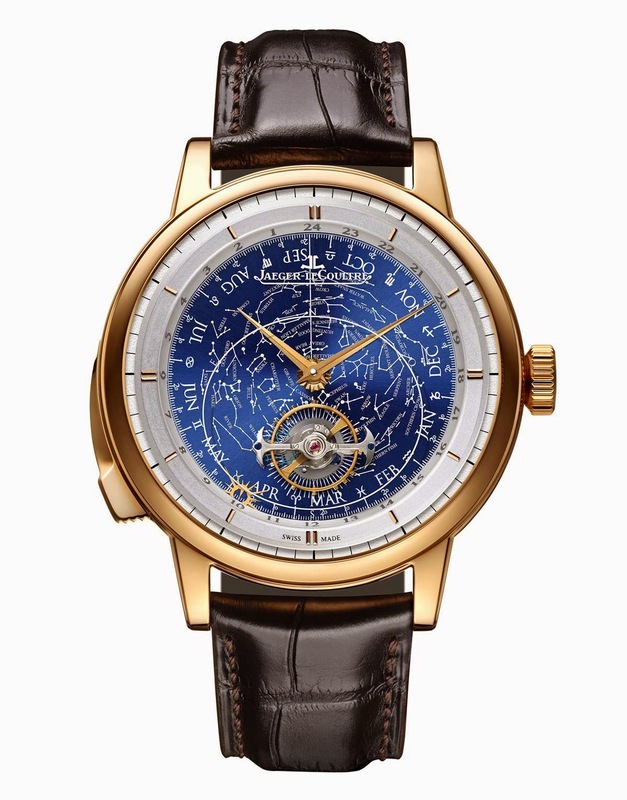 The new Jaeger-LeCoultre Master Grande Tradition Grande Complication (ref. 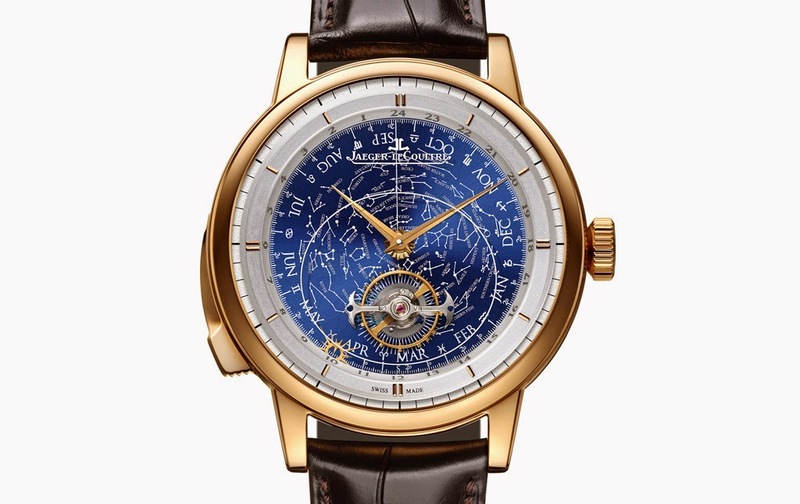 Q502 25 80) brings the complexity of the universe to the wrist. The sidereal orbital tourbillon, whose carriage is made of ultra-light titanium, is here the key element used to show the time with its counter-clockwise revolution in 23 hours, 56 minutes and 4 seconds.